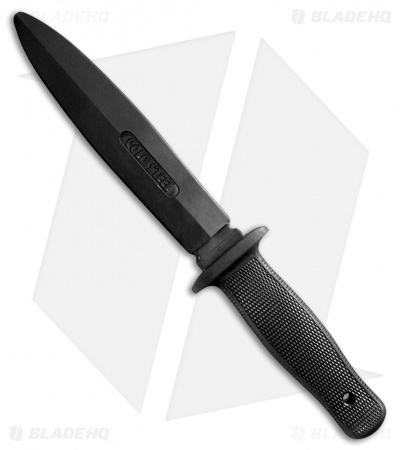 This Cold Steel Trainer Fixed Blade offers a dull training blade for safe self-defense training. One-piece black santoprene construction for a durable build. Dull blade with a rounded tip for safe training use. Realistic replica design can be effectively used in solo practice, training drills, disarm drills, and self-defense demonstrations.